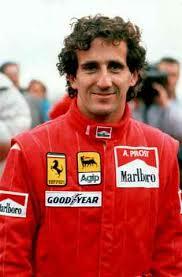 Frenchman Alain Prost is a four-time Formula 1 world champion, having won it in 85, 86, 89, and 93. He won 51 races during his career, which places at no.2 on the all-time win list, even though he hasn’t raced for 21 years! If I am being brutally honest, I am not a big fan of Prost (for reasons I will explain later), but his record is immense and worthy of respect. Why am I not a particularly big fan of Prost? It’s largely due to the way in which he and Ferrari short-changed Nigel Mansell during their time together at Ferrari in 1990. Fair enough, Prost went into 1990 as a three-time world champion and Mansell was yet to win one. However, Mansell would suffer greater mechanical problems as Prost saw to it Ferrari favoured him, and Prost even had their cars swapped over when it appeared Mansell’s car was quicker – without the good grace to tell Mansell. This sort of manipulative behaviour has always left me with a bad taste in my mouth when I think of Prost. He was quick, yes – and fans of his are quick to point to statistics that show him to have always finished a season with more points than a teammate – but he also refused to race alongside Senna at Williams in 93 – and he is on record as accusing Mansell of costing him the 1990 title (Mansell apparently blocked Prost at Portugal, but at this point, given Prost’s underhanded treatment of the Englishman, he can hardly be surprised that Mansell wasn’t in the mood to be co-operative). Personally, I suspect Prost of sour grapes when he criticises Mansell for his move. Prost did not get away especially well and Mansell had every right to defend his position. Mansell had no control over whether the McLarens would be able to surge past him and was covering off the person closest to him. 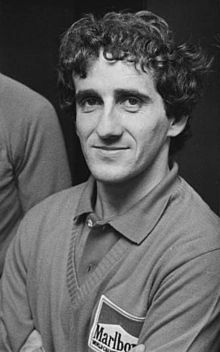 So, whether Prost fans care to acknowledge it or not, he was very much prepared to be as devious as anyone else to ensure an advantage. The politics that seemed to surround Prost’s bitter rivalry with Senna became a focal point for F1. 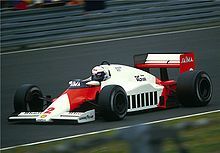 Prost felt, especially in 1989, that Senna was receiving the lion’s share of support from McLaren – this, combined with the animosity between the two, meant Prost left McLaren at the end of 89. That said, despite my reservations about Prost, when he was on form, he was very much on form. His speed came from his tactical nous – car setups were usually near-perfect, and he would look after his tyres and fuel very well. This would enable him to make late charges when his rivals were perhaps having to be more careful. He certainly earned his 51 wins!